A lecture-performance on sensing time, especially in performance contexts, based on subjective facts. The lecture is a reflection on my experience with time from the perspective both of a performer and of a performance recipient. I read my text sitting on a chair. 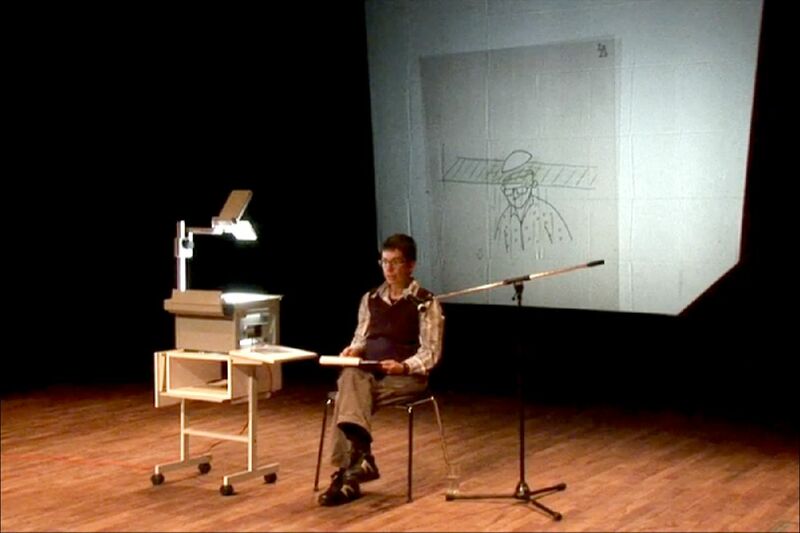 I use gestures and projections of drawings to illustrate the content. I am going to talk about several different times, about time-modes, time-types, time-beings, time-properties, as if I knew all about the superior dimension, Time. I will split time into pieces and sort them, I will fit those into moulds or give them faces, personify them and - if I succeed - I will give them appropriate names."